A pair of American Pekin ducks relax beak-to-beak on the grounds of the University of Scranton Retreat and Conference Center at Chapman Lake in Scott Township, Pennsylvania, July 27, 2018. Ducks are a quirky, quacky, handy addition to any homestead. Once you’ve decided to keep ducks, you may be wondering which duck breed would be best for you. According to John Metzer of Metzer Farms in Gonzales, California, domestic ducks essentially can be categorized by two key characteristics: nervous or calm. The characteristically nervous breeds include Runner, Khaki Campbell and White Crested ducks. Each of these ducks has its advantages. Runners are exemplary foragers, Khaki Campbells are highly productive egg layers and White Crested ducks have a charming tuft of feathers atop their heads. 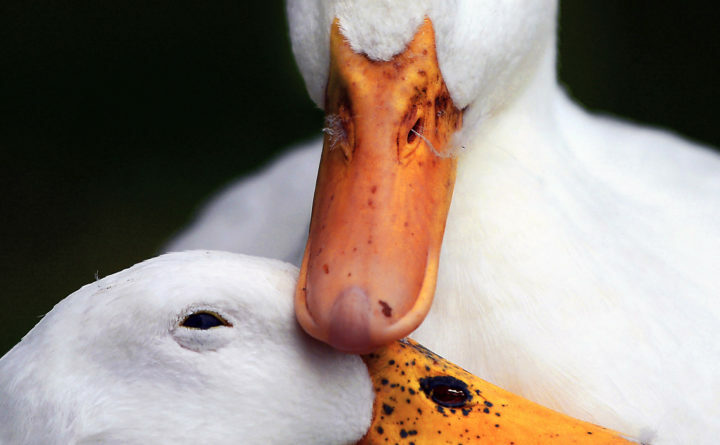 But for first-time duck owners, Metzer recommends breeds that are quieter and less skittish. Mathew Call, 23, and Duncan Blow, 34, from left, are recovering from addiction by taking care of livestock at Angers Farm, a halfway house run by York County Shelter Program. Luckily, most other domestic duck breeds can be classified as calm. Mallards, Rouens and tawny brown Buffs are all great options for new duck owners. The Welsh Harlequin, a relatively new breed that is a sort of speckled cousin to the Khaki Campbell, is an especially docile duck that is also great for first-time owners. Metzer and his colleagues have observed on their own farm that Welsh Harlequins are the calmest species of the bunch. “They are not as excitable,” Metzer explains, which is preferable for when you are picking up eggs or spreading bedding. What ducks are best for meat? 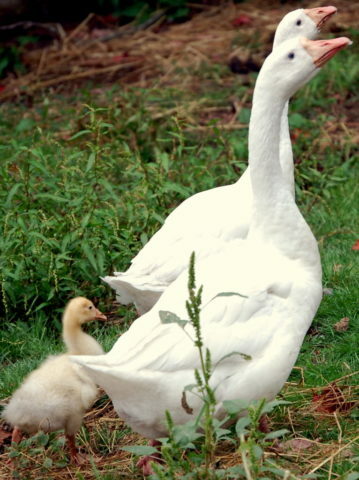 Among the quieter breeds, Pekin ducks are the most common domestic duck and the best duck to raise for meat. Because they are bigger — about four times the size of a mallard — they will eat more food and produce a little more manure than other domestic ducks. Still, they are sweet ducks, with an added celebrity factor: “It’s the Aflac duck,” Metzer laughs. What are the best laying ducks? Debbie McLean has spent the last seven years offering shelter from the storm for abused farm animals provided though the Downeast Equine and Large Animal Society, which is located on the 43-acre farm on Hatchery Road in Deblois, where she and husband Stanley live. Can ducks be kept with chickens? 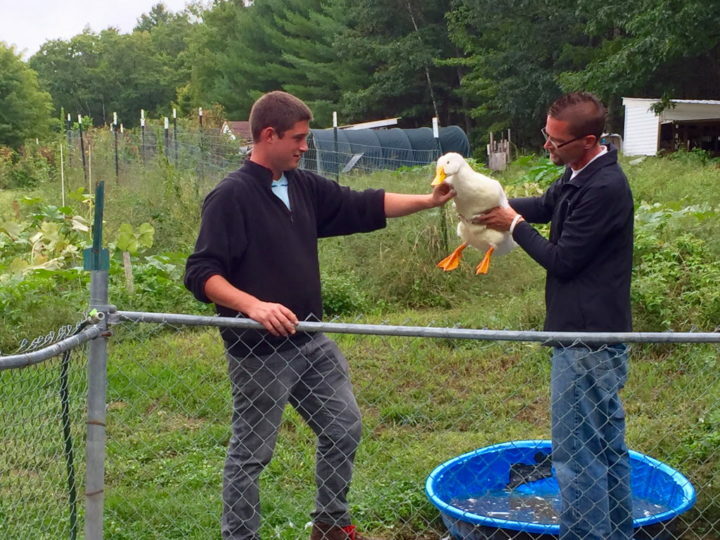 No matter the breed, ducks bring many benefits to homestead living. Besides being goofy and entertaining, ducks eat garden pests, lay tasty eggs, and are resilient against cold weather and disease. The decision ultimately comes down to which feathered fowl tickles your fancy.